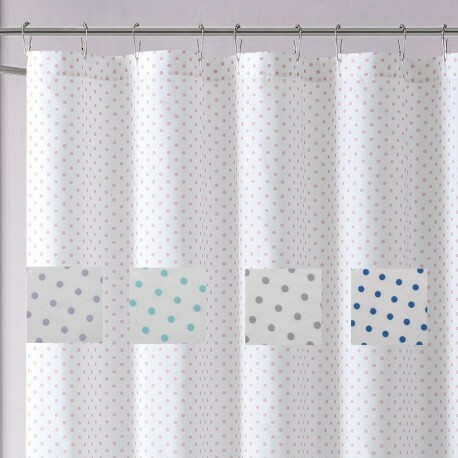 A simple dot pattern is a light-hearted coordinate to a variety of bathrooms. 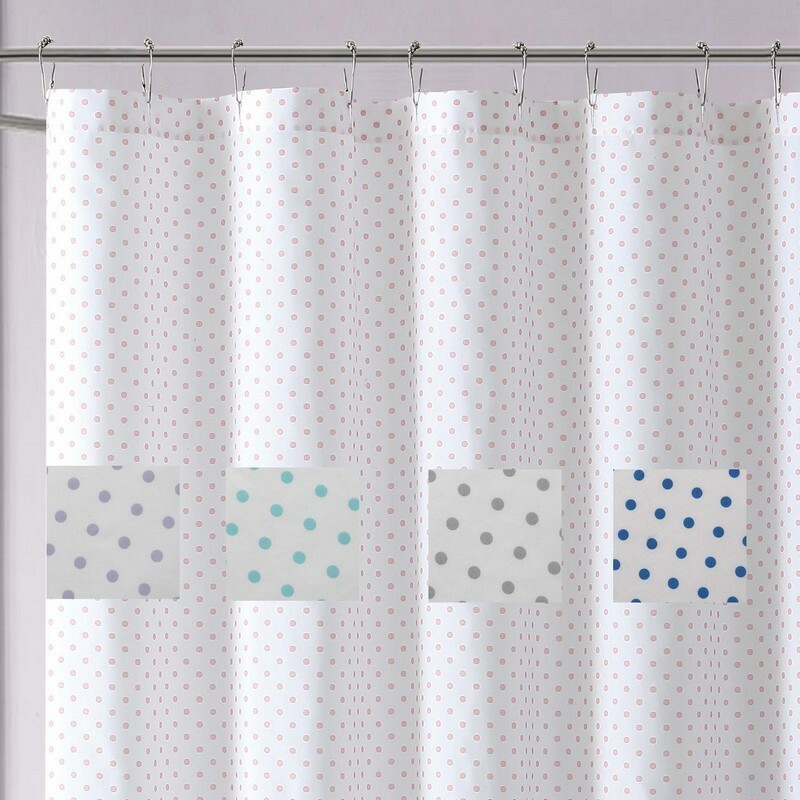 These 100% microfiber shower curtains are designed to be super soft and easy care. The double brushing provides a nice soft feel. The show curtain features reinforced hook holes. Shower hooks and a liner must be purchased separately. Complete your bathroom with this light and bright accessory.